Staff Viewpoint: Which Capcom Titles Do You Want Remade/Remastered For The Wii U And 3DS? I personally would like to see the two PSX Breath of Fire games remade for Wii U ! We already have the first two games and Breath of Fire III and IV are great games that pushed the series to new heights! The already orchestrated music could easily be upgraded in sound quality and the original cel-shaded graphics would be easy to upgrade to HD standards in a similar manner as Wind Waker HD's graphics were. Those two games would help alleviate the RPG drought that the Wii U is currently experiencing. One of my favourite PSP games was Mega Man Powered Up, an enhanced remake of the original Mega Man with new features such as two brand-new Robot Masters (Oil Man and Time Man), the ability to unlock and play as the Robot Masters, and an in-depth level creator. It would be awesome to see this title released on the Nintendo 3DS, as well as an eventual Mega Man Powered Up 2 (hopefully without a migraine-inducing Bubble Man stage...). But why stop there? Why not make a Powered Up remaster for every classic Mega Man game? I would love to see Capcom release an HD collection of Monster Hunter G and 2G complete with online servers. A western release would allow people from other regions to finally enjoy these two games and because it's Monster Hunter it will sell well in the west! We all know at this point it won't happen, but as this is a dream-scenario article anyway, I'm going to go with the obvious choice: Resident Evil. Yes, the classic entries in the famed horror series are being re-remade for other systems, but with how well Resident Evil Revelations was done, I'd like most to see them placed on 3DS. The ability to turn out all the lights and curl up in bed with headphones plugged into the system is perfect for setting the right Resident Evil ambiance (though my wife may not appreciate being repeatedly woken by my girlish screams), and being able to make a "Jill sandwich" anytime, anywhere would be an added bonus. And, though it's even more of a longshot, I wouldn't mind seeing Capcom take a crack at updating Street Fighter 2010. It's a tough as nails 2D beat-em-up that could use the smoothness of a modern touch, but with the current resurgence in pull-your-hair-out difficulty (I'm looking at you, Dark Souls), it would be as good a time as ever to release a downloadable Street Fighter 2010 Remastered. Or, maybe Street Fighter 2030. 2010 has come and gone and, boy, were they off on their style predictions. That's all for our staff viewpoint! Let us know which Capcom remakes/remasters you'd like to see made for the Wii U and 3DS in our comments below! 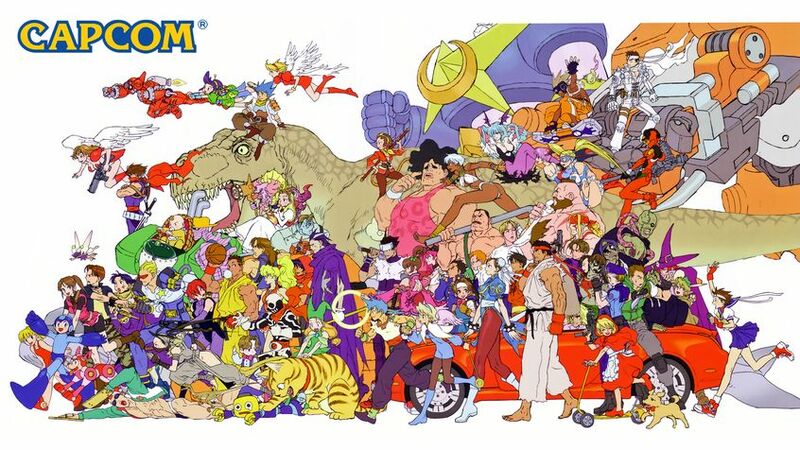 Re: Staff Viewpoint: Which Capcom Titles Do You Want Remade/Remastered For The Wii U And 3DS? Breath of Fire remakes would be awesome too! Mega Man 9 & 10 absolutely need to be rereleased. Not as a remake, though. They're just right as they are. They should be bundled together as a single download game, though. If they priced it right (I'd say $10-15), Capcom would be crazy not to make the games available on all current-gen systems. I'm worried by the lack of comments for this article. Activity has been really low lately. Um...I would love to see a remake of Breath of Fire II.